I’m sure most people will agree with me that there is nothing more summery than cooking outdoors on the barbeque! Living in Canada with four distinct seasons, means that each season is only about 3 months long, June, July and August are the warmest months of the year, so we like to cram in as much outdoor activities during these months as possible. So, lots of bike rides, swimming, picnics at the beach and farmer market visits. And for mealtimes, it’s all about barbequing out on the patio. This Asian Chicken BBQ Marinade with Sake ticks all the boxes for a lively summery grilled chicken dinner. 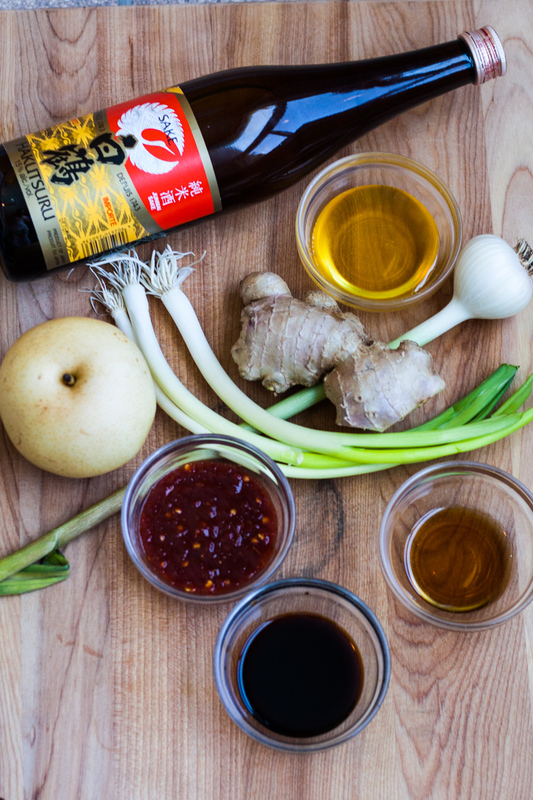 Nothing says big flavour like this combination of sweet asian pear and honey, aromatic ginger, green onions and sake, salty soy, nutty sesame oil and spicy sambal oelek! When I was growing up, my Dad mostly barbecued hotdogs and hamburgers. And that’s fun, if you’re in a pinch for time or cooking for four very hungry kids. But my favourite barbeque dinners are with meats that have marinated for hours and then grilled to perfection. In my house we all have our favourites, jerk pork, steaks coated with a sizzling spice mix or my favourite – marinated chicken. 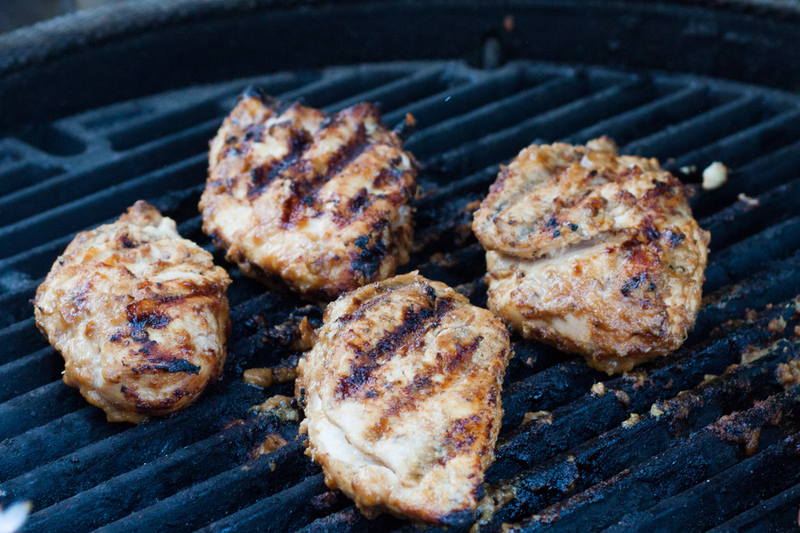 Chicken is the perfect vehicle for a marinade as it is a milder meat than beef or pork. After marinating for a few hours, grilled chicken comes out moist and tender with a crispy exterior brimming with flavour. Chicken should be cooked to an internal temperature of 165 degrees fahrenheit and the juices should run clear. And my favourite part about barbequing chicken is coming up with new maraindes. Marinades really up the game when barbequing adding lovely sweet, spicy, salty, boozy flavours. 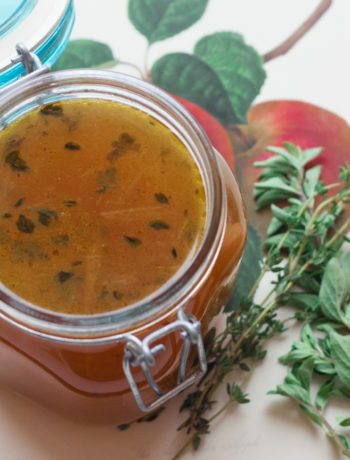 This marinade is so simple and easy to make. All the liquid ingredients are poured directly into the blender. Chop the asian pear, green onion, ginger and garlic and throw them in too. Blitz the marinade on high for 3-4 minutes until it is very smooth and then pour over the chicken to marinate for a couple of hours. Then you’re ready for grilling. I hope you enjoy this Asian Chicken Marinade. Measure all liquid ingredients into blender. Add chopped garlic, green onions, ginger and asian pear into blender. Blitz for about 3-4 minutes until smooth. 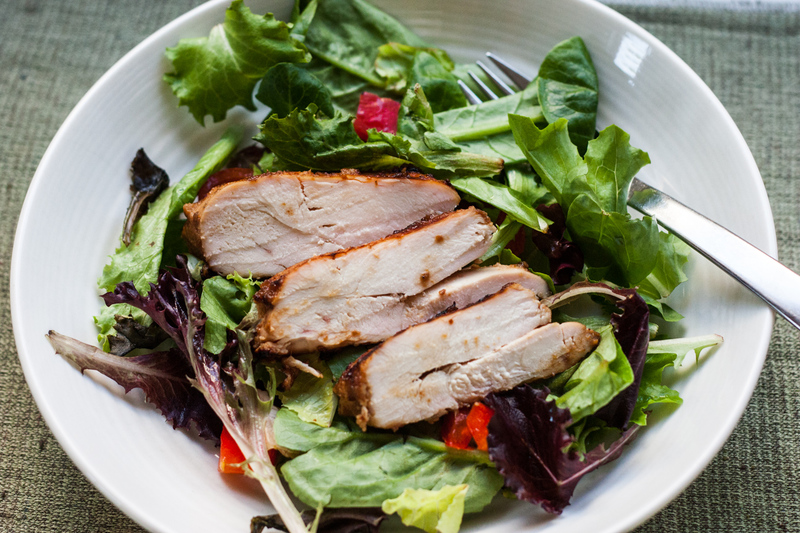 Place chicken in a plastic container or freezer bag or glass bowl. Pour marinade over chicken. Cover. Place in refrigerator for 3-4 hours. Simmer remaining marinade in a pot for 10 minutes. 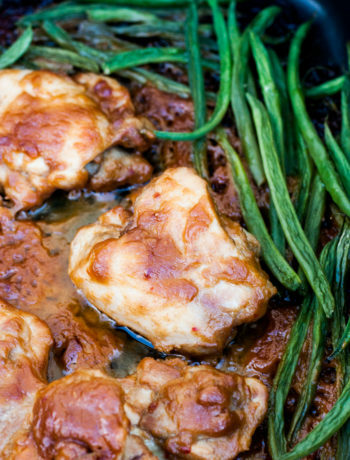 Use this marinade to brush on chicken while barbequing. 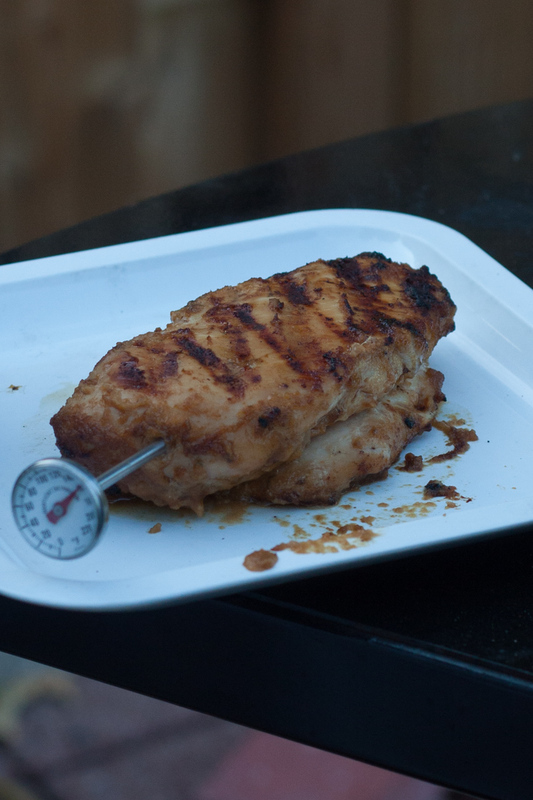 Grill the chicken on barbeque until thermometer reads 165 degrees fahrenheit. 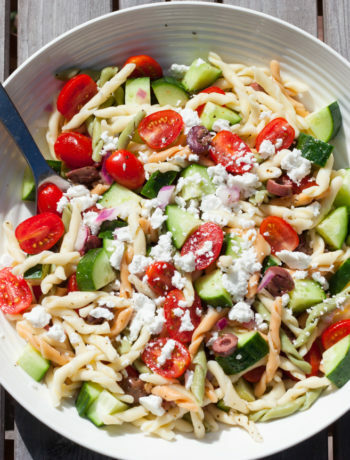 Serve on a bed of lettuce with a simple oil and vinegar dressing. You can also serve this grilled asian chicken on italian or ciabatta buns with your favourite toppings such as lettuce, tomato and raosted red peppers and barbeque sauce.